SassyBlack is everything. The songstress and producer is well-educated and classically trained with roots in jazz and soul, though she is in no way confined to them elementally. Formally of the Seattle group THEEsatisfaction and having worked closely with experimental hip-hop duo Shabazz Palaces and traveled the world, SassyBlack (whose real name is Catherine Harris-White) has no shortage of experience to contribute to the psychedelic electronic r&b she makes. Her voice smooth like soulfully funky butter, it's reminiscent of Ella Fitzgerald, Janelle Monae, Erykah Badu and J*Davey with a Herbie Hancock twist to her production, adding a modern and intellectual spin to her performances. SassyBlack grew up with a family devoted to music, their time spent together having dance parties and playing music history trivia. She still engages her love for pop culture and music history, having recorded three volumes so far of her Pop (& R&B) Treasury cover EPs. Whether it's an original track or a tribute to a deep cut, everything SassyBlack touches is gold, and worthy of numerous replays. It's more than obvious that with what is happening in the United States and really the entire world around us, that both as minorities and Americans alike, we need to band together. Race and sexuality shouldn't serve as another barrier that separates us and with an upcoming lineup of racially diverse and fluid artists, biases and hate need not apply in any way, shape to this night. We've got Blossom, who offers one of the only vocal r&b representations in Portland. 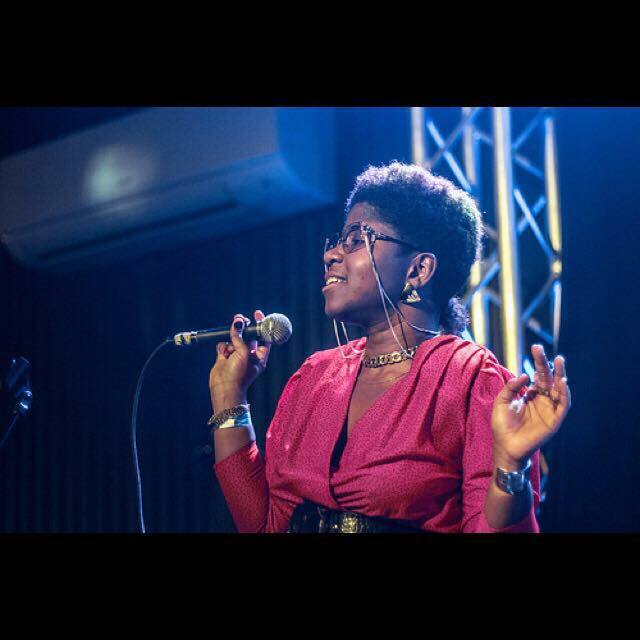 You've probably heard her popular "Black Magic Woman," and the EYRST vocalist will most definitely bring some black woman magic to the bill. There will be quite a few opportunities to see Blossom this year, including Pickathon at the end of the summer, which she'll be playing along with Chanti Darling. Oh, Chanti, Chanti, Chanti! The range on this handsome honey is unlike what most vocalists are capable of pulling off nowadays. Chanti and his Darling team of swirvers, twirlers and musicians have been everywhere lately, and it couldn't be more well deserved. Blending funk, r&b, soul and love, Chanti Darling are running wild with that 'best new band title' sashaying their way into ruling our world. Hailing from Seattle, SassyBlack split from her partner Stas Irons in THEESatisfaction and has been making it quite well on her own with her jazzy stylings. This will be her first performance in Portland, so let's welcome her well. This show is TOMORROW at Holocene. It's 21 and over and will have DJ Lamar LeRoy hyping the vibe in between sets. Spend $12, come stand together with us and just have a damn good time.